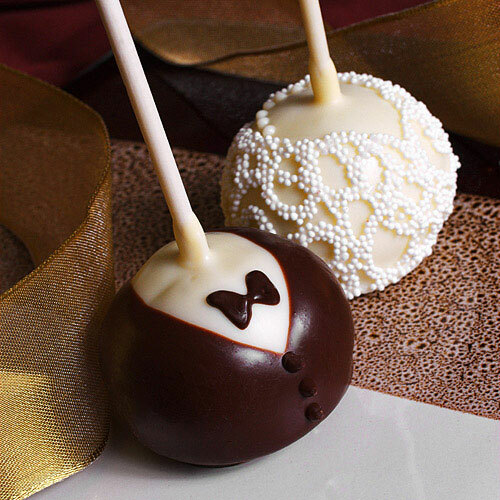 Can we discuss how adorable these bride and groom cake pops are? I kind of love them... a lot! Oh my gosh, these are just darling and they almost look too yummy to eat! My husband made these for our daughter's engagement party and they were a HUGE hit! Thanks Anonymous. This photo is actually not mine. The post is linked to www.beau-coup.com, where I originally found them.